Ayyappa Abhishekam and Puja at Temple. 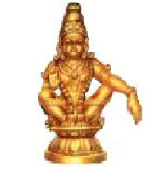 Get the blessing of the Lord Ayyappa. Sponsors will have their names & Gothram included in the Sankalpam by the Priests.